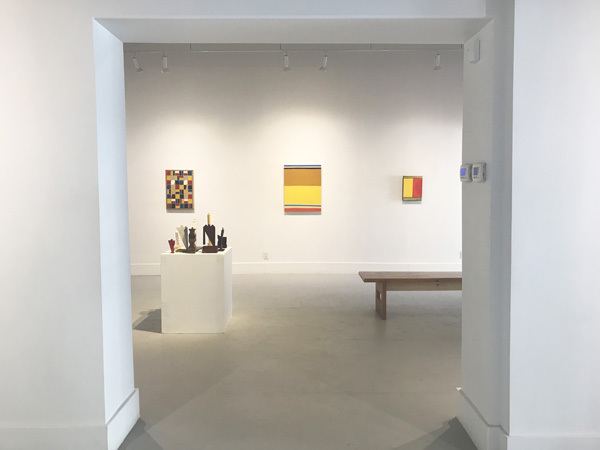 Art Placement presents 'formalish', an exhibition featuring the work of three emerging, Saskatoon-based abstract painters: Jordan Danchilla, Steph Krawchuk, and Cameron McKay. 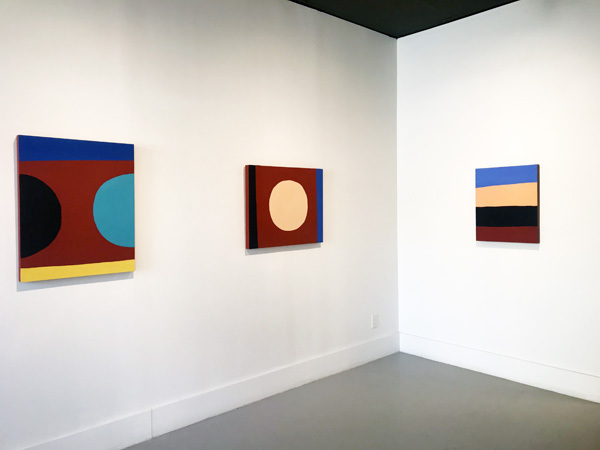 Formalism is one of the key terms defining the history of abstraction in Saskatoon. 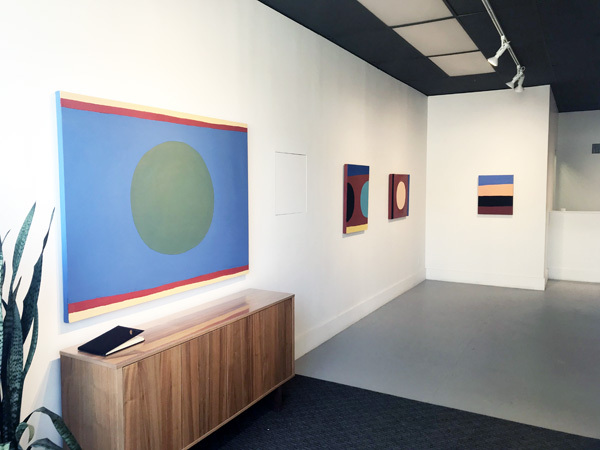 The artists in formalish carry on the local formalist tradition to some extent, while at the same time demonstrating uniquely contemporary approaches to the problem of abstraction. 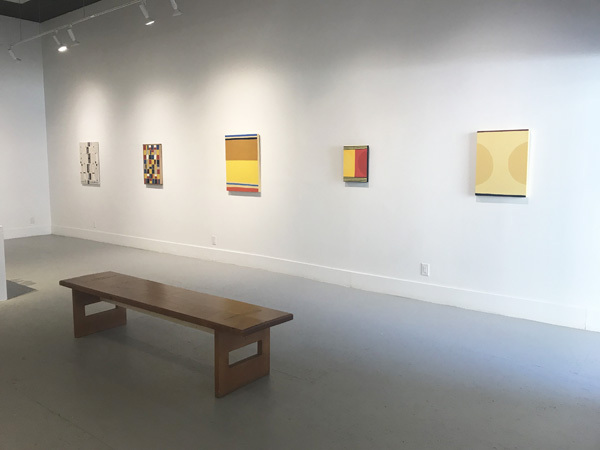 Their work speaks to a diverse range of influences, materials, aesthetics, value systems, and histories, in abstract paintings that are fresh, personal, engaging, and unexpected. 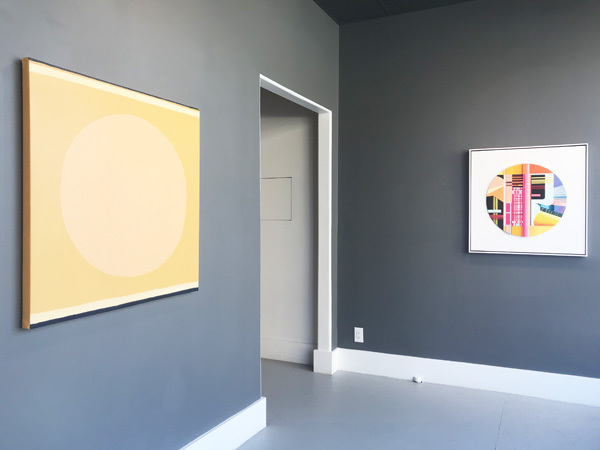 Danchilla, Krawchuk, and McKay make their work in relative isolation, but within a global community that is more connected and easily accessible than ever before via technology. They acknowledge abstraction's histories--locally as well as internationally--though their relationships to those histories remain adjacent rather than continuous; casual as opposed to strictly formal. Without staking a conceptual or ideological position in relation to the past, as artists a generation before might have felt was necessary, they instead opt for more lighthearted approaches. 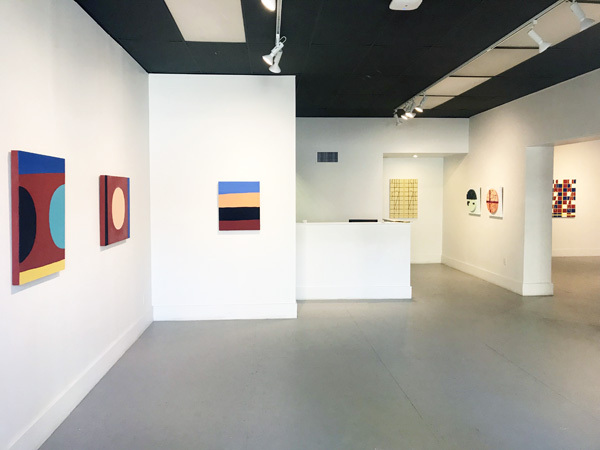 With genuine curiosity and playful fascination, their work is refreshing and optimistic, and consistently unburdened by the weight or confines of history. 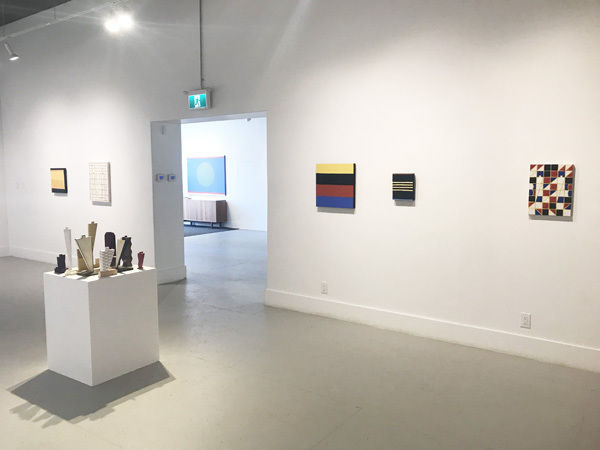 The latest generation of abstract painters to emerge from Saskatoon, Danchilla, Krawchuk, and McKay are all well aware of the legacy that precedes them. 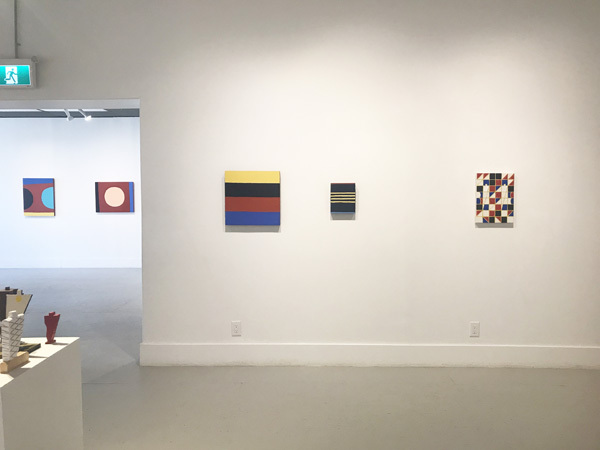 Though each of these artists have come to abstraction by way of their own unique path, there are interesting parallels in their independent journeys. All three studied at the University of Saskatchewan. Danchilla's work was primarily in printmaking, while Krawchuk and McKay specialized in painting and drawing. Though not explicitly discouraged, abstraction was certainly a direction not strongly encouraged at the U of S at the time. Not surprisingly, all three artists emerged from the academic environment producing work that was in some way representational. 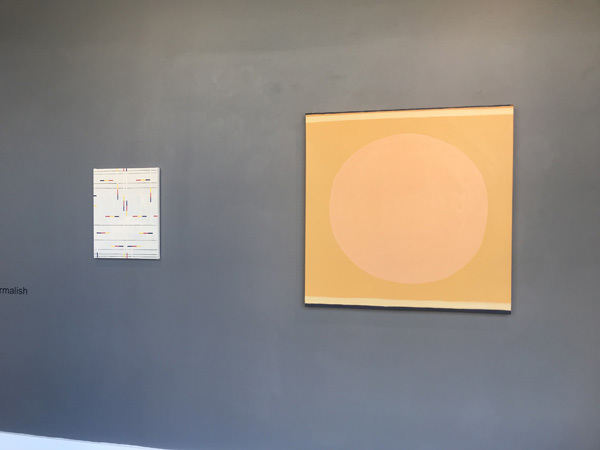 The overarching common thread in each artist's post-academic narrative over the last decade-plus of making work and exhibiting has been the steady progression towards non-objective art. 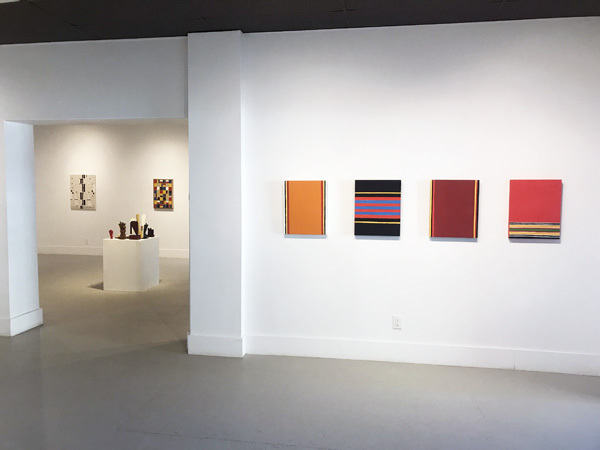 The seeds of this shift were already present in their earliest works: Danchilla's graphic, printmakerly sensibility incorporated a degree of stylization from the outset; Krawchuk's depictions of architecture, still lifes, and people evoked the work of the early modernists, with reduced renderings that amplified the formal and material elements of her paintings; and McKay's paintings of architecture and natural forms eschewed straightforward representation by fracturing and recombining these elements into new compositional arrangements. 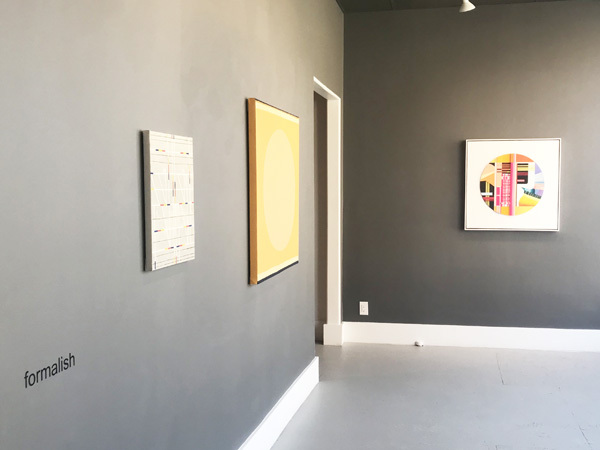 More than a decade on, and working independently of each other, Danchilla, Krawchuk, and McKay have all now fully moved into the arena of abstract, non-objective art-making. Even still, understanding where each artist has come from is extremely useful in understanding how they now approach abstraction. 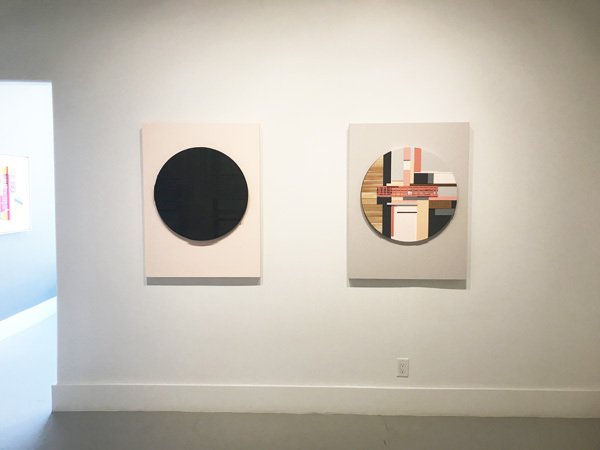 Jordan Danchilla's background in printmaking with its emphasis on forethought, planning, and process, greatly informs the way he develops his paintings and collages. Nearly all of his works begin with sketches and diagrams, plans that might be executed in paint or other materials. 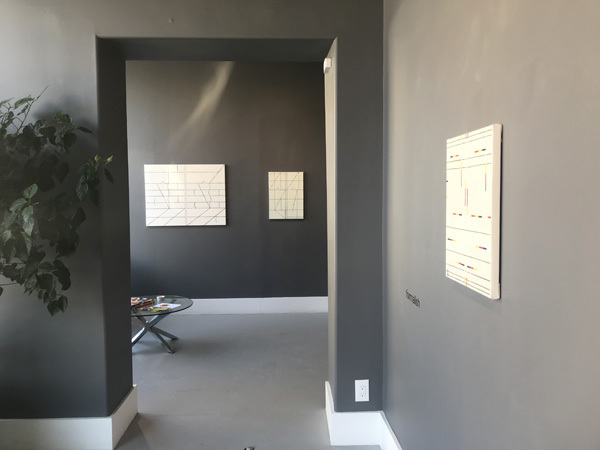 He is attracted to certain configurations and motifs that appeal to him on an intuitive level, and often serve to fuel an entire series of works exploring a range of possibilities and permutations within a given set of parameters. 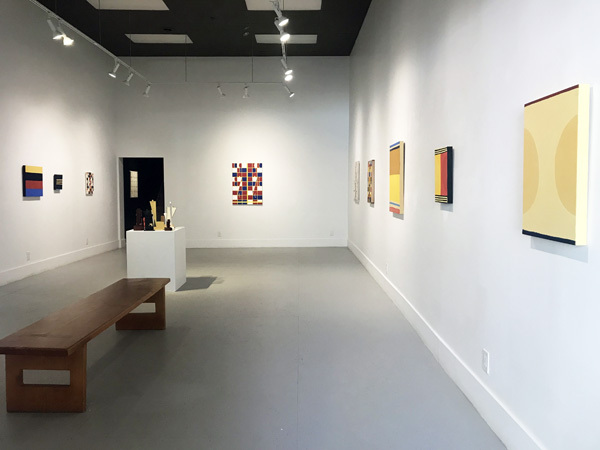 Variations in proportion, density, texture, colour, and materials fuel his prolific production, which incorporates a variety of mediums including acrylic, oil, and Flashe, as well as drawing and collage. Steph Krawchuk is likely the artist most familiar to our audience. 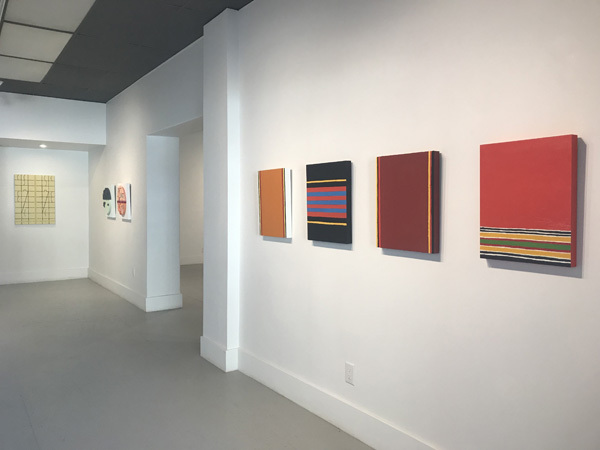 Her work has been exhibited at Art Placement since 2011, an 8-year period over which we have had the privilege to witness her stylistic evolution. 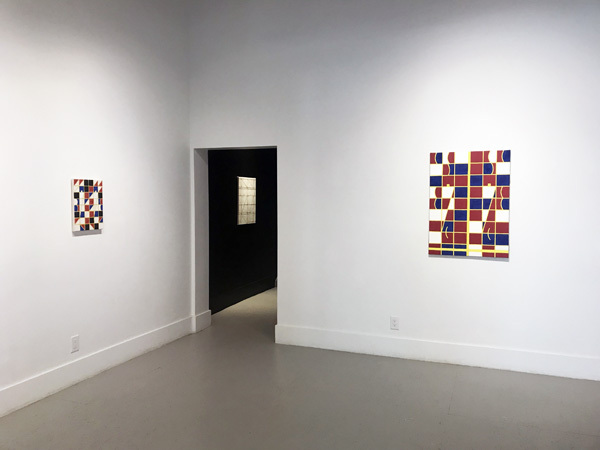 From painterly representations of local architectural landmarks, it was not long before playful "abstract experiments" began to emerge from Krawchuk's studio. The elements remained consistent--bright, vibrant colour; bold, clearly defined shapes; emphatic linear elements; and a shallow pictorial space--but the recognizable subjects had been abandoned. The energy and exuberance of her earliest abstractions expressed a powerful sense of freedom, an artist let loose. Nearly five years on, Krawchuk continues to pursue non-objective painting with an advanced sense of focus and refinement. Maintaining strong evidence of the artist's hand, vigorous activity has now mostly given way to reduced compositions with carefully modulated colour and commanding presence. Cameron McKay has also managed to move into new stylistic territory while holding onto the core of his earlier interests. 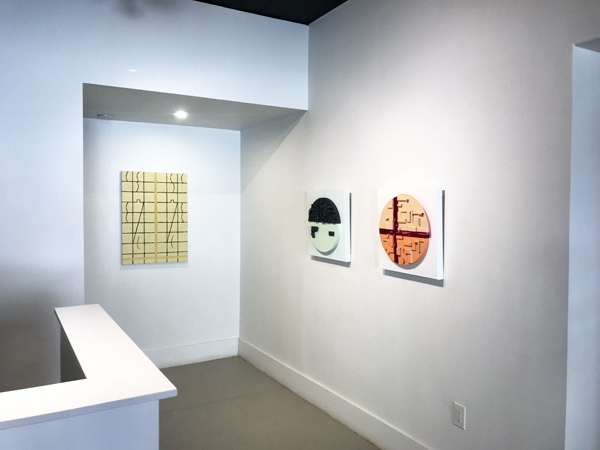 From representing architectural forms in paint, his work has evolved to become complex mixed-media constructions that now incorporate architectural materials. 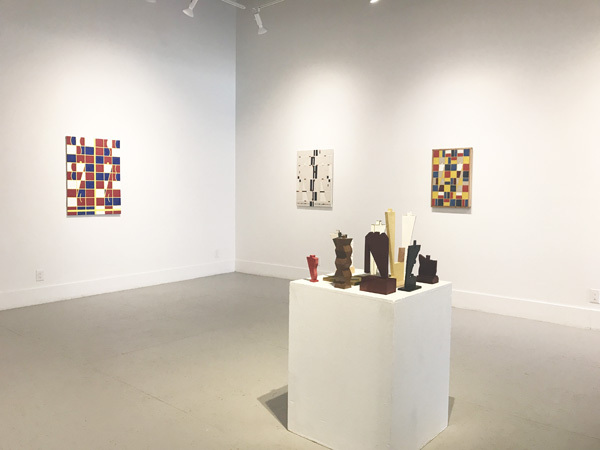 With a BA in painting, as well as a background in carpentry, it was not long before McKay began to experiment with a variety of alternative materials in his work, including wood, metal, and plastic. The architectural references are still there, now combined with a more sophisticated exploration of surface and texture through the interplay of materials, where the tightly arranged fragments create a dynamic patterning of vertical and horizontal elements, like Tetris in 3-D. Participation made possible through Creative Saskatchewan's Market and Export Development Grant Program.